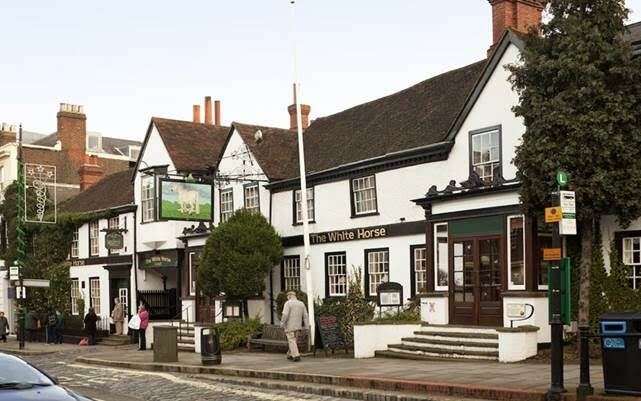 The White Horse, Dorking, part of the Bespoke Hotel group, is set to reopen later this month, following an extensive refurbishment. The 56-key property closed its doors in July 2017 to allow for the extensive £4 million renovation to take place. Changes were made throughout the public spaces, as well as to the restaurant and bar, whose menu and décor has been transformed. The interior design overseen by award-winning Squid Inc, who recently worked alongside Bespoke on the opening of Manchester’s award-winning Hotel Gotham in 2015. The furnishings celebrate the building’s unique role in Dorking’s history, having once played host to Charles Dickens. Dickens took up residence at the White Horse while writing the Pickwick Papers in the mid-19th century. The White Horse will feature extensive dining facilities as well as a versatile meeting space for private gatherings, parties, and business functions known as “1812”. The restaurant and bar facility known as “The Dozen” has capacity for up to 100 diners and serves a menu of both traditional British and modern European cuisine. Formed in 2000, Bespoke Hotels now represents over 200 properties worldwide. It is the UK’s Largest Independent Hotel Group.